Television chef and CNN series man Anthony Bourdain has committed suicide aged 61-years old, and he was found in his hotel room in Strasbourg, France this morning. 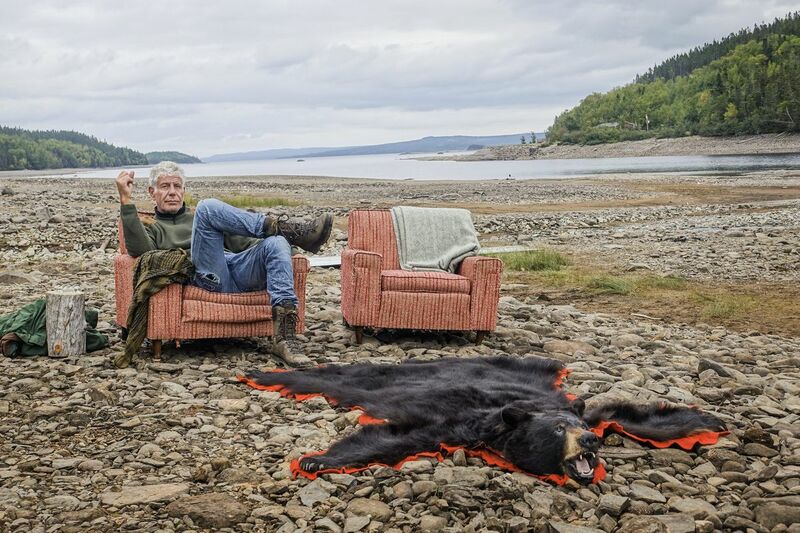 A great story teller who had hit shows with ‘Parts Unknown’, ‘No Reservations’ and ‘The Layover’ traveled around the world and exposed us to food and culture in exotic locations, and became a firm favourite with viewers, as a result. So far, there has been no further information as to how he took his life, but significantly, he was the current boyfriend of actress Asia Argento, who has raped by Harvey Weinstein in Cannes back when she was 21-years old in 1997. Asia Argento had been very vocal about Harvey Weinstein, even as recently as the Cannes Film Festival of May 2018, where she lambasted the disgraced film producer in front of a large audience, suggesting that he was forever banned from returning to the illustrious film festival. Could this be related to Anthony Bourdain’s suicide in some way? Early signs point to that people will most definitely question his suicide and suspect some foul play. Anthony Bourdain had previously been candid about his previous substance abuse, after having a heroin problem for many years, although, it is not known whether he was using heroin at the time, or whether this had anything to do with his suicide. If it was, could it have been an overdose? The Smithsonian called him “the Elvis of bad boy chefs” and the “original rock star” of the culinary world, and only four days ago, he conducted his final interview with IndieWire, where he spoke of his love for film and his relationship with Asia Argento in blending together both passions. You can read it here. There were surely no signs of him being suicidal and he appeared very happy with his life. Anthony Bourdain was also very vocal about Harvey Weinstein throughout his time with Asia Argento, since his sexual assault scandals broke back in October in 2017. Anthony Bourdain was also a vocal opposer of Donald Trump (which was less than appealing and it lost him tons of fans) like with what many celebrities tend to do these days, but it was surely his relation to Asia Argento and her ongoing campaign against Harvey Weinstein which might peak conspiracy theorists’ interests’, as people will find it very hard to believe that Anthony Bourdain took his own life. Anthony Bourdain had earlier also been vocal about the “shameful” response that Hillary Clinton gave in response to the escalating Harvey Weinstein scandal in November of 2017, who was a big time donor to the Clinton Foundation. Was Anthony Bourdain murdered for making those comments to the media about Hillary Clinton, regarding the Harvey Weinstein scandal? Or was it just a regular suicide? Let’s keep our ears and eyes peeled for more news on the passing of Anthony Bourdain, who committed suicide in Strasbourg, France, right in the middle of working on a new series of ‘Parts Unknown’. Quite clearly, a suicide under such circumstances makes no sense whatsoever, since why would anyone take their own life right in the middle of working on new projects?